For a number of years blue has always been one of the top selling colours when it comes to carpet tiles. Therefore we have an extensive selection of blue carpet tiles at very competitive prices available from stock. 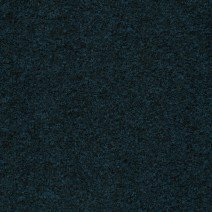 In particular blue carpet tiles are a popular choice for domestic use in the home but mainly used in industrial situations such as offices. 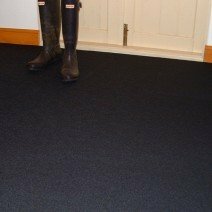 We are able supply a variety of shades and pile types from the choices below, stocking carpet tiles produced in both polypropylene and nylon to suite all tastes and budget. 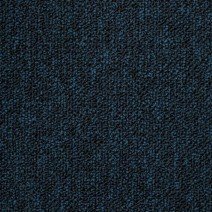 These carpet tiles are especially suitable for offices and commercial areas where traffic is heavy and our darker blues are an ideal solution for this type of environment. We also carry stock of the paler blue shades, often used in the home as they are a pleasant, durable choice, giving good value for money. 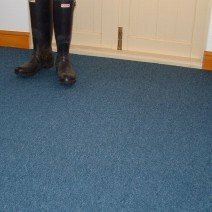 Blue is one of the most popular colours used in carpet tiles, you can frequently find them in many commercial situations, however, blue is also a favourite colour for busy areas in the home, churches and schools. We have a comprehensive selection of blue tones and pile types allowing us to cater for most. Blue is also a very good choice to lay alongside other colours in the same ranges permitting the more artistic amongst us to design original flooring for their area. A chequer board pattern is a favourite, as is a complementing colour walkway, this proves a nice touch in sales showrooms, directing your customer straight to your products, these effects just take a little aforethought to be achieved. 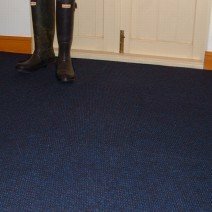 At the value end of the price range for our carpet tiles in blue would be the Fine Rib Orion Blue, which is a flat dark blue colour and also the Stratos Blue, this carpet tile has a slight white fleck woven amongst the blue fibres helping to camouflage any lint or particles that can regularly cause a problem in heavily used areas. 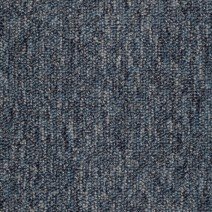 Both of these blue carpet tiles are rib stitched giving the appearance of corduroy, if laid quarter turn they will give a chequer board effect as the light catches the stitching. The Fine Rib range is produced in 100% polypropylene making them stain resistant, hard wearing and ideal for high foot traffic situations. The Sapphire Blue carpet tiles are a hobnail tile. These are made using a different production method. Another option of flat dark blue, the Sapphire Blue has a herring bone type effect stitched into them. This deep stitching makes them very versatile, they are very effective, whether laid in a busy corridor, hallway/foyer or laid in a utility room or conservatory. As with the earlier ranges these are also produced from 100% polypropylene. 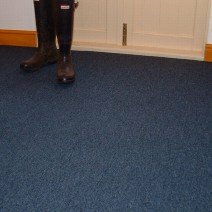 Sapphire Blue are the more pet friendly carpet tile option, as the animals claws are less likely to snag on the woven fibres. 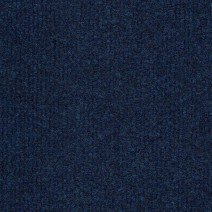 Coming on to the loop pile carpet tiles again we have a good choice in blue tones. You can choose from the Rivoli Mid Blue, Navy or Milano, all of these can be used for domestic or industrial use, and are again 100% polypropylene making them all very durable. 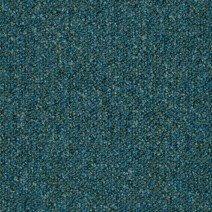 We also hold in stock the Azure Blue carpet tiles, these are as before 100% polypropylene, with the added bonus that they are castor chair suitable, hence great for offices. These tiles are a particular favourite with our customers both for their colour mix and their robustness. They are manufactured from a top grade polypropylene which gives this particular product a higher specification over its rivals. We have consistently sold this product for over 15 years and always received excellent feedback. 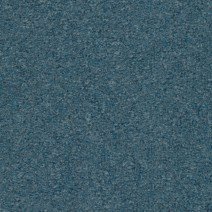 At the top of our ranges come the nylon carpet tiles, we have a large selection when looking for a blue in this range, in a loop pile we have the dark toned Trafalgar Blue or the lighter speckled Bosun Blue. 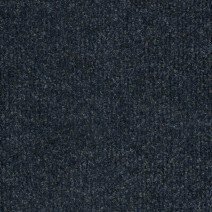 We can also supply two choices of cut pile blue carpet tiles, ideal for hotels and homes, they are Geneva Blue and Geneva Dark Blue. The nylon range is the hardest wearing and softest that we offer and they are probably the most cost effective. All of these are castor chair suitable, and they will provide a very professional look to all office spaces whether large or small, these carpet tiles are resilient but also appealing to the eye. A good choice all round. All of our products have a tiered pricing structure built in where the more you order the cheaper they get. We have done this to be fair to everyone, giving transparency to both domestic and business customers alike. A home user undoubtedly requiring less tiles can see the prices we are offering to a trade supplier or business, whilst a busy contractor will still be able to take advantage of our quantity discounts when ordering late at night, long after our offices have closed. Every product on our website is dispatched from our own warehouse so if you can add it to the cart and checkout then it should arrive as per your chosen delivery option.